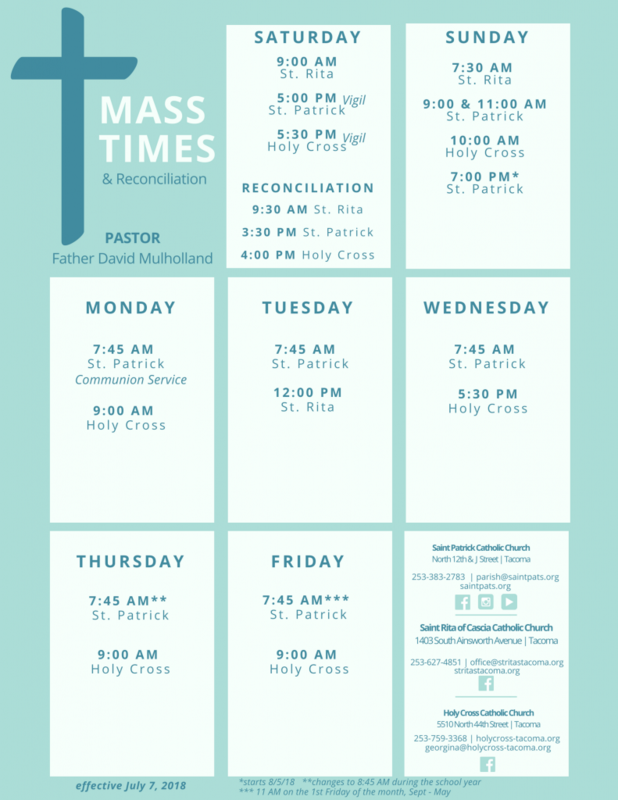 No 7:00 PM Mass on Easter Sunday. Parish offices are closed on Good Friday through Easter Monday. 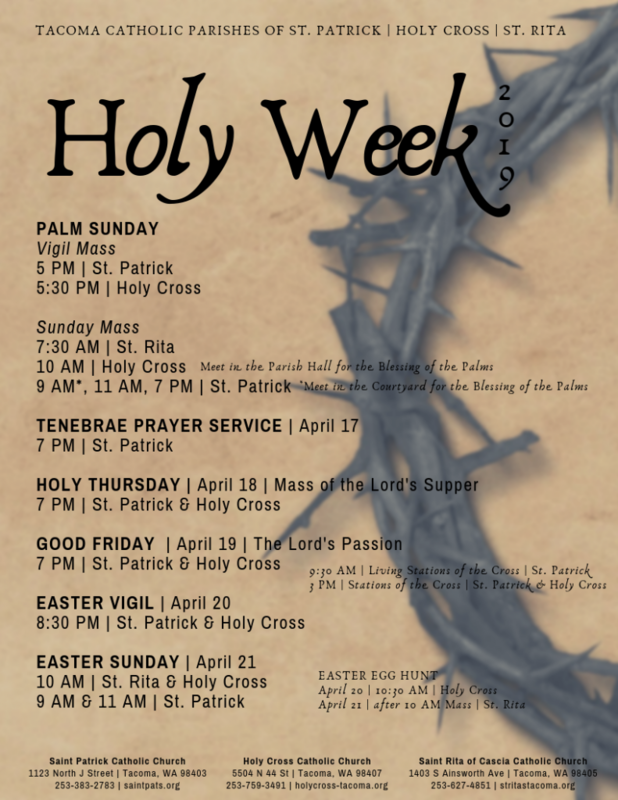 For more information Holy Week & Triduum services click here.